You can now define dollar triggers at the department approver level and use templates to apply to all subsidiaries and departments, reducing the number of approval workflows you need to define. 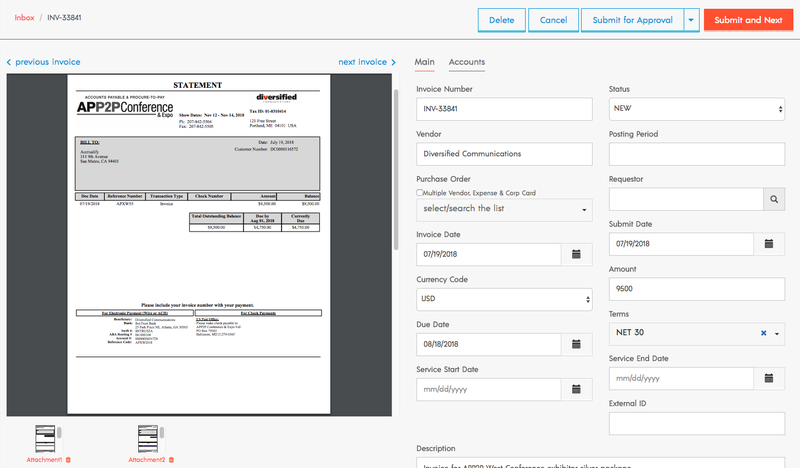 This new feature will help your AP team see what new invoice have come in and help review the input data for accuracy. Easily view attachments, make changes, and submit for approval. To access Inbox, simply go to your Invoice section and click on the Inbox tab at the top. As an improvement to our Paid Outside feature, your team can now create a payment method at the vendor level to always use an external payment method for specific vendors. 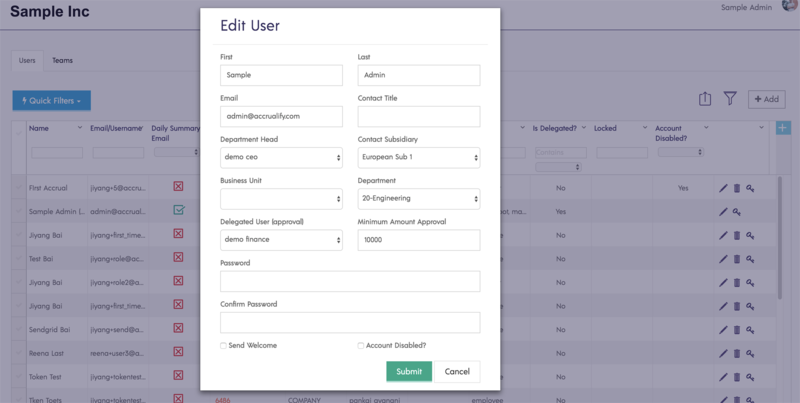 Simply create the external payment method as you would a typical method in the Accrualify platform. You can now define a ship-to address at the PO level in the request form. This also introduces the concept of multiple addresses for a single business. Updates to manual approval restrictions. Changes to the AP Aging Report. Improvements to the left sidebar. Addition of approver reminder emails. Addition of PO bulk API. Ability to manage and define multiple disbursement accounts. Business Unit and Location fields added to PO header level.